Hear the name fridge and you get reminded of the crispy well-made cakes kept inside the appliance. Yes, you can also keep fruits, vegetables, beverages safe for sure. This electronic appliance is used for many purposes. But ask the best benefit, and you will get the answer - preservation of food items. It involves cooked recipes and vegetables. 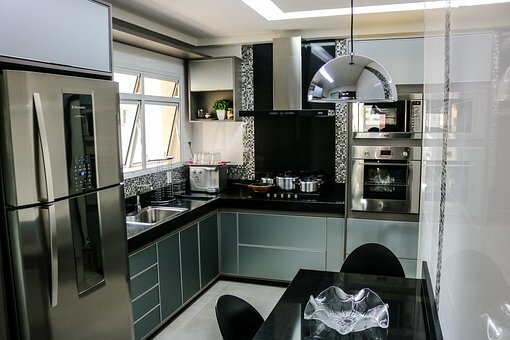 In this article, you get to know about the internal refrigerator parts. Now let us see these details. As you know, the internal parts are the ones which carry out the tasks. You can find some parts on the refrigerator’s back. Some are present in the main compartment. Let us go into the details of information on internal refrigerator parts. This liquid goes to all the internal parts of the fridge. In fact, it is responsible for the cooling effect. In the evaporator, the refrigerant takes off the heat from the parts and distributes it to the condenser. The liquid keeps moving again in circles. You can find the compressor behind the refrigerator or in the bottom area. It is this part which takes the refrigerant right from the evaporator. And then the liquid gets discharged at a high temperature and pressure. The driving force behind the compressor is the electric motor. In fact, the compressor is the important device of the fridge, and also power consuming part among the other parts. Did you find a thin coil of copper tubes in the back of the refrigerator? Then read the title again. This is the same part. After going through the compressor, the refrigerant liquid enters this part. Now, the hot air gets cooled by the outside atmosphere. Now, the hot air from the compressor and condenser gets cooled in a similar fashion. The main reason that the condenser coils are fitted externally. Now the refrigerant which leaves the condenser gets to enter the expansion device. This is the capillary tube you can find in the domestic refrigerators. It is the thin copper tubes which you find as numerous turns made up of copper tubes. Now, if the refrigerant passes via the capillary tubes, then the pressure as well the temperature will fall down in quick time. Now take another look at the title. Guessed? The refrigerant which has got low pressure/temperature will next enter the freezer or evaporator. In the evaporator, to make the heat exchange, the place is made of numerous copper turns and aluminum tubes. The heat is absorbed by the refrigerant from the substance which is hot in the evaporator. Now, the heat gets to the vapor mode to be absorbed by the compressor. These cycles happen to keep the temperature cool inside the fridge. Well, the fridge is related to the cooling part. So there should be a separate part, and it is the thermostat. And it has a sensor which is connected to the evaporator. You can set the thermostat by the knob which is located in the interior of the refrigerator. If the temperature level has reached, then the thermostat will stop the power to the compressor. If the level reaches below the limit, then the compressor once again gets the power supply. This part removes the extra ice present on the evaporator surface. You can operate this system by manual methods via the thermostat button. There is also the automatic system which comprises of the timer and electronic heater. So have you read about the article on the internal refrigerator parts? Also, you need to give the maintenance service every year to the fridge. The reason, it will work to its potential. And it is very easy to opt for repair and maintenance service of a fridge or any home appliance these days. 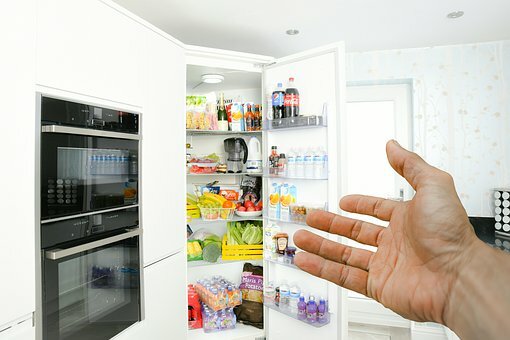 Let us imagine you are in Hyderabad and your fridge needs a maintenance service. Just search for the best home maintenance company which provides doorstep repair services and download their app. Install in your mobile, and book the service. You will get the best-qualified technicians for fridge repair in Hyderabad to service your home appliance. You can, by this method, make the fridge last its lifetime.